Amazon CloudFront is a content delivery network that allows users to distribute content to users worldwide. What is a Content Delivery Network or CDN? A content delivery network, widely referred as CDN, is a group or network servers, geographically spread across the world or a region, to deliver web based content to end users. CDNs cache (store) content on geographically distributed edge servers and deliver it to users from the edge server that’s closest to their location, thus minimizing latency, increasing availability and reducing the load on the source (Origin server). How does Amazon CloudFront Work? 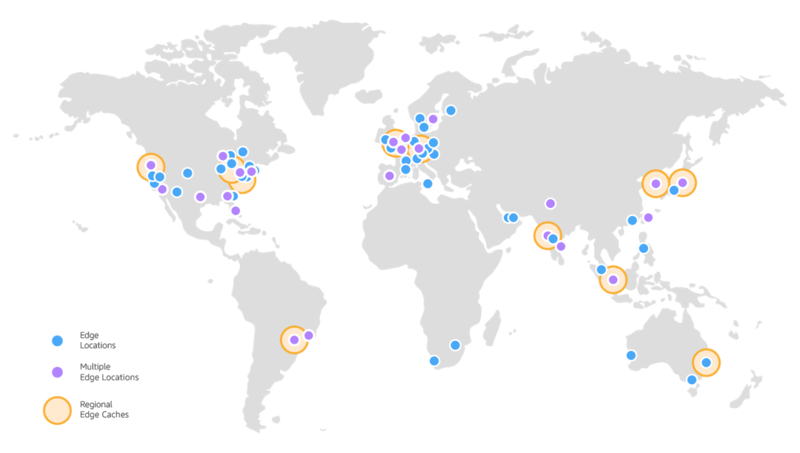 CloudFront delivers content through a network of data centers called edge locations spread all over the world. When a user requests content from CloudFront, the user request is routed to the edge location that can offer the lowest latency, so that the user gets the content as quickly as possible. When the requested content is already in the edge location with lowest possible latency, CloudFront delivers it immediately to the end user. If the content is not located in the location with lowest possibly latency, CloudFront retrieves it form the origin as defined by the customer. For any CDN the number of edge locations and its geographical spread is extremely important as it determines the performance and availability of the content . 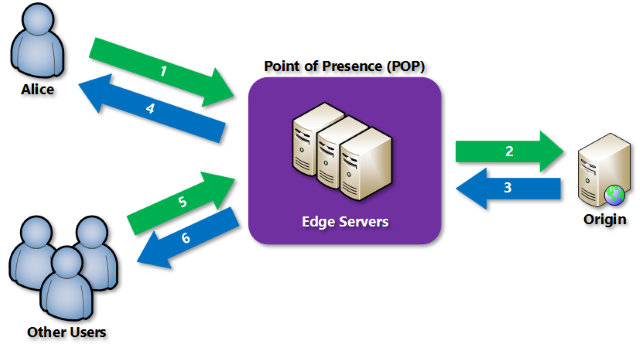 Amazon CloudFront operates 166 Points of Presence, 155 edge locations and 11 regional edge caches. The network spans across 65 cities in 29 countries. Amazon CloudFront has 11 regional edge cache locations that are designed to further improve the performance of the overall network. Regional cache locations have larger storage capacity compared to edge locations. 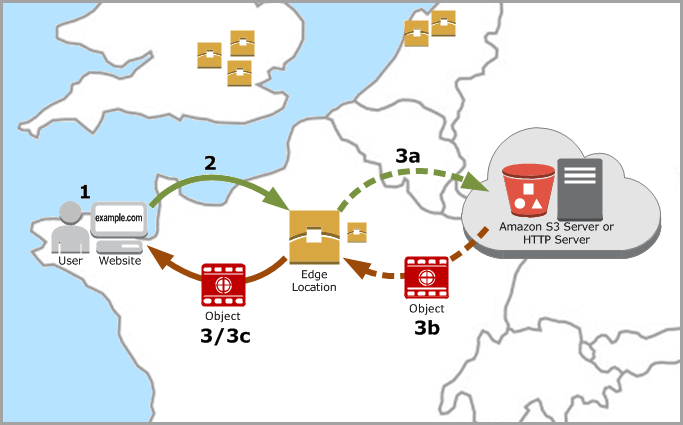 Amazon CloudFront regularly move content that becomes less popular that are stored in the edge location to the nearest regional cache location. This allows CloudFront to only keep the most popular, frequently accessed, content in the edge location, improving overall performance for the end user. Amazon CloudFront offers protection against network and application layer attacks. Users can deliver content via SSL/TLS, create custom SSL certificates. Cloudfront also provides SSL optimisations and advanced capabilities such as full/half bridge HTTPS connections. CloudFront is PCI-DSS Level 1, HIPAA, and ISO 9001, ISO 27001, SOC (1, 2 and 3) compliant. AWS uses the pay as you go and pay only for what you consume model for Amazon CloudFront. There are no upfront fees and long term commitments to use Amazon CloudFront. Amazon offers three pricing tiers, free, on-demand and discounted. The free tier, which is valid for one year offers 50 GB of data transfer and 2 million HTTP or HTTPS requests per month. On-Demand Amazon CloudFront charges will be based on the following factors. 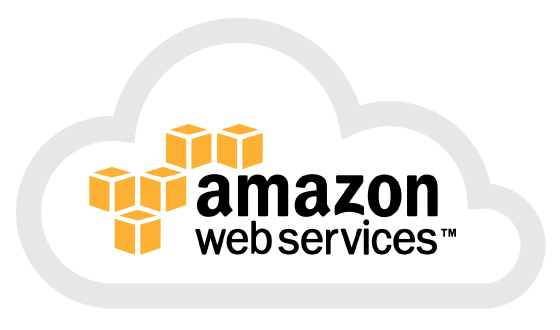 Data Transfer Out to Origin: Volume of data (GB) transferred out from the Amazon CloudFront edge locations to customer’s origin, which can be an AWS origin or any other server origin. HTTP/HTTPS Requests: Number of HTTP/HTTPS requests made to Amazon CloudFront. Invalidation Requests: CloudFront charges per path in your invalidation request. Customers can request a maximum of 1,000 paths each month, after that you will be charged per path listed in your invalidation request. Dedicated IP Custom SSL: $600 per month for each custom SSL certificate. This fee is pro-rated by the hour. You only pay $600 if you use it for the entire month. If you use it only for 24hrs, you only pay $20. CloudFront Pricing can be a bit complex to understand as there are many variables involved, so please visit AWS CloudFront Pricing for more details and charges for each item. Discounted Pricing is available for customers who are ready to commit atleast 10 TB of data transfer per month for 12 months or longer.